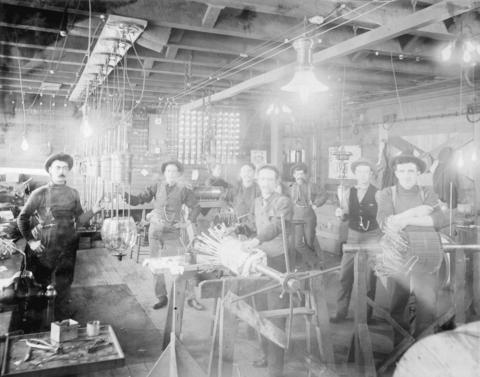 Photograph shows several men in shop, surrounded by various light bulbs, tools, and other materials. Photograph is discoloured and faded. Photograph mounting is damaged at the corners.